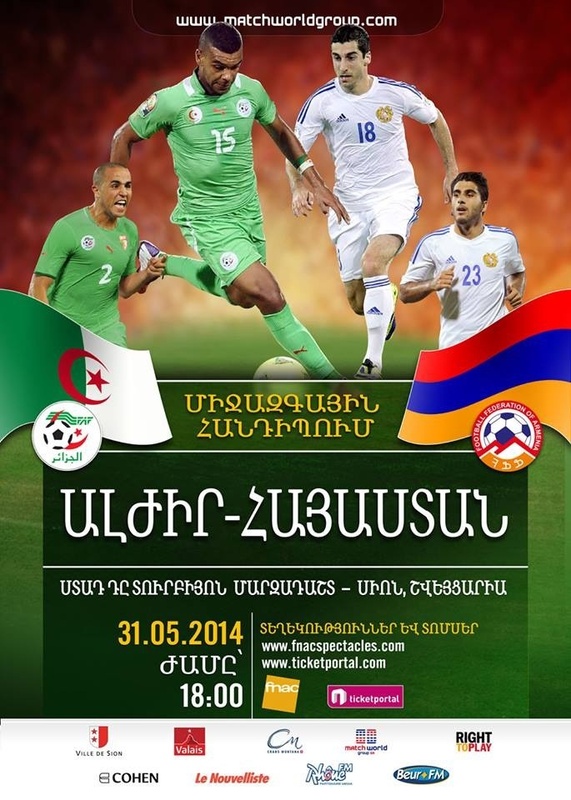 Algeria-Armenia friendly match will take place in Stade de Turbillon stadium, in Sion, Switzerland. The match tickets are still on sale. The Matchworld Group company, responsible for the match organization recommends all football fans to purchase their tickets without further delay here, here and here or in different outlets from Fnac and ticketportal from Wednesday. Armenian people from France can buy tickets in all Carrefour and Fnac shops in France and in All Ticketportal sales points in Switzerland (Manor shops and railway stations).